Bentonville, AR / Los Angeles, CA (January 06, 2015) – Academy Award® winning actor Geena Davis and ARC Entertainment today announced the launch of the Bentonville Film Festival (BFF), a one-of-a-kind inaugural event designed to champion women and diversity in film. The Festival, which will take place from May 5 – 9 in Bentonville, Arkansas, will be the first and only film competition in the world to offer guaranteed theatrical, television, digital and retail home entertainment distribution for its winners. The festival, which is being hosted by ARC Entertainment, Walmart, Coca-Cola and AMC Theatres, will be chaired by Geena Davis and will screen approximately 75 films in competition, ranging from studio premieres to independent features and documentaries. The Festival’s Advisory Board is comprised of entertainment industry leaders, celebrities and artists including Angela Bassett, Bruce Dern, Samuel L. Jackson, Randy Jackson, Eva Longoria, Julianne Moore, Paula Patton, Natalie Portman, Nina Tassler and Shailene Woodley. While individual activities for each BOA member will vary, the Advisory Board directives include garnering support within the entertainment industry, leading mentorship activities, film selection input, festival jury participation, defining success metrics and measuring effectiveness of programs, and offering broad strategic counsel. Films that receive the Audience, Jury Selection and Best Family Film awards at the Bentonville Film Festival will receive a distribution agreement with a guaranteed traditional theatrical release on a minimum of 25 screens from AMC Theatres. AMC Theatres will also participate in the film submission and jury selection process. 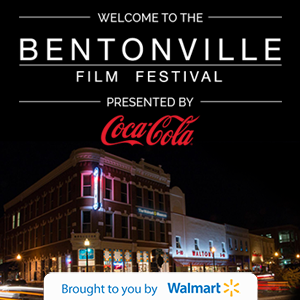 In addition to the film screenings, the Bentonville Film Festival will include a star studded award show hosted by Geena Davis and presented by Kraft Foods Group, multiple panel discussions with celebrities and industry leaders, and family film night events that will be free to the public and held in exciting non-traditional venues. Following the debut of the event, the non profit arm of the initiative, The Bentonville Film Foundation, will launch as part of the BFF initiative a year-round event calendar to promote women and minority filmmakers, artists, directors, and producers at colleges and universities around the country in partnership with the Geena Davis Institute on Gender in Media, which is the official non-profit partner of the BFF initiative and will be focused on research and awareness building. Film submissions for the Festival will open on January 15th 2015, with films accepted into competition being announced in March 2015. For more information on the festival please visit bentonvillefilmfestival.com or email your inquiry to info@bentonvillefilmfestival.com. organization working with media and entertainment companies to engage, educate and influence the need for gender balance, reducing stereotyping and creating a diverse and inclusive range of female characters for entertainment targeting children 11 and under. Davis was recently appointed Special Envoy for Women and Girls in ICT for the UN’s International Telecommunication Union (ITU). Davis is also an official partner of UN Women, working toward their goal of promoting gender equality and empowering women worldwide. Davis is the Chair of the California Commission on the Status of Women. Davis holds honorary degrees from Boston University, Bates College and New England College. ARC Entertainment is an independent media company that distributes, produces and acquires content for exploitation on its robust distribution platform. Founded in 2010, ARC Entertainment has achieved exponential growth with releasing over 150 new title since its founding. The Company has unparalleled relationships with major national retailers and a management team with a history of success in the Entertainment and Consumer Products industries. ARC’s most recent platform expansion includes the launch of My Country Nation, (mycountrynation.com) an over-the-top (OTT) digital channel and web brand formed in partnership with, Brad Paisley, William Morris Agency, Taillight Productions, and Raindance Entertainment.